When Richard Johnson’s girlfriend, Kimberly Ley, received her Rooted in Cheyenne tree he saw the excitement she had towards receiving a new tree knowing that she was replacing the canopy for some of our older trees. Once he saw the tree and was made even more aware of the declining tree canopy here in Cheyenne he was hooked. 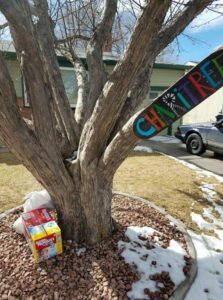 Two of our board members, Jake and Kim Mares had a relationship with Rich going back years before Rooted in Cheyenne (RIC) when Jake’s tree care company took care of the “Charitree” in Rich’s front yard. That tree was used as the logo for Rich’s 52 weeks of charity in 2017. The main goal of the 52 weeks of charity was to promote programs like RIC to the City of Cheyenne and raise $100,000 for the various programs/events he highlighted. 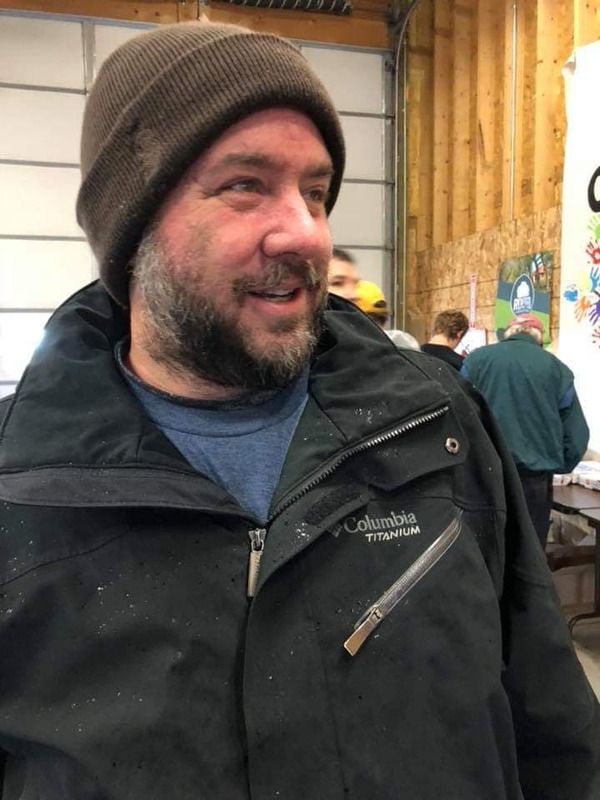 Rich’s intent was to increase the visibility of a program in hopes that more city residents would become active in their community through participating and volunteering. He decided to include RIC into his 52 weeks of charity when he reached out to Accomplice Beer Company and made an agreement with them to brew 3 beers for RIC with all proceeds going to RIC. Then of course, Rich was there to promote all three events for each of the beers. Rich goes extreme in everything he does, so he wasn’t just going to stop with the beers. He’s volunteered for 2 planting events so far. (Spring 2018/Fall 2018) When he came back from that first planting he was exhausted, but so excited to relay to Kim everything he had learned that day about the tree planting process and experience. He really enjoys the fact that he has gained knowledge in an area he previously knew nothing about, and now is sort of a novice expert. He loves immersing himself into situations he knows nothing about, so he can learn from them. He also really enjoys being outside. A good day to him is one where he is outside enjoying the weather. Even if the weather is like the first planting event he helped on, the one where it rained all day (Spring 2018), still his favorite planting because it was nice and cool, and the soil was easy to shovel. Mostly because sometimes its fun to get dirty. He’s really like all of us when it comes to volunteering for RIC. Driving past the trees you’ve helped plant is very satisfying, it’s something tangible that you can see. You can see your hard work flourish and develop into something great for the community and that’s a good feeling. Our community should be thankful that we have people like Richard Johnson, who does everything he can to help the community he lives in. As an organization that runs because of the help of volunteers, its great to have Rich promoting us and helping where he can. We, like Rich, believe that RIC can bring our community together as well as provide the much needed benefits of trees.